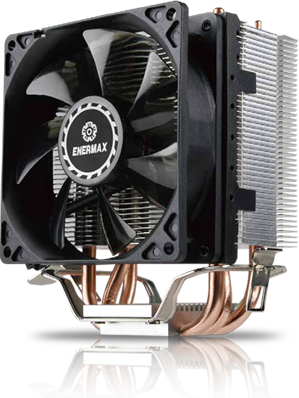 The Enermax ETS-N31 is a tower cooler with 92mm fan designed to cool compact PC systems. The cooler has a low profile of only 125mm and comes with a tool less top mounted installation system. 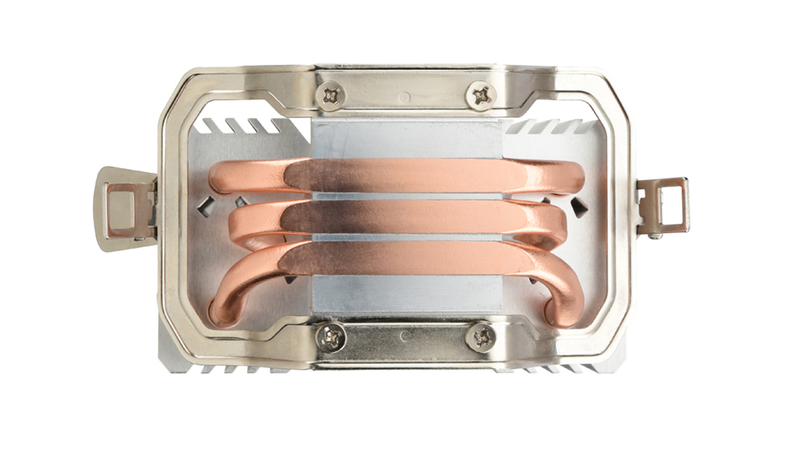 The 3x Ø6mm heat pipes with Heat Pipe Direct Touch (HDT) and the air stream optimizations Vortex Generator Flow (VGF, patented) and Vacuum Effect Flow (VEF) work together to reach a cooling performance of 130W TDP. 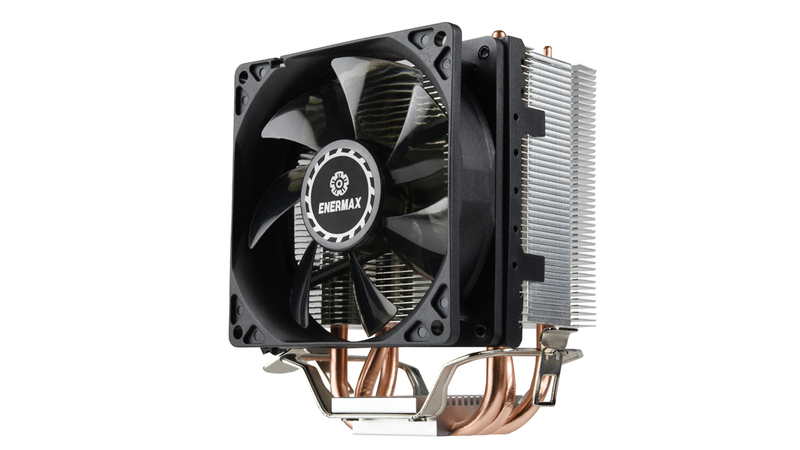 The asymmetric heat pipe design provides the best compatibility with high RAM modules. 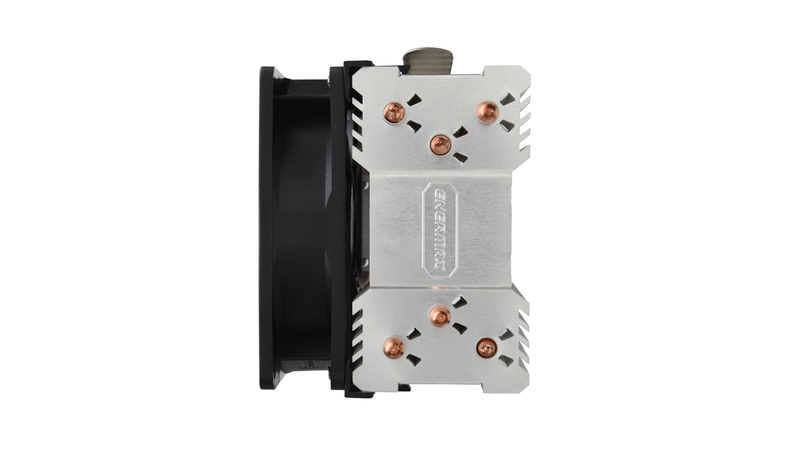 ETS-N31 supports all latest Intel® and AMD® sockets including AMD AM4. 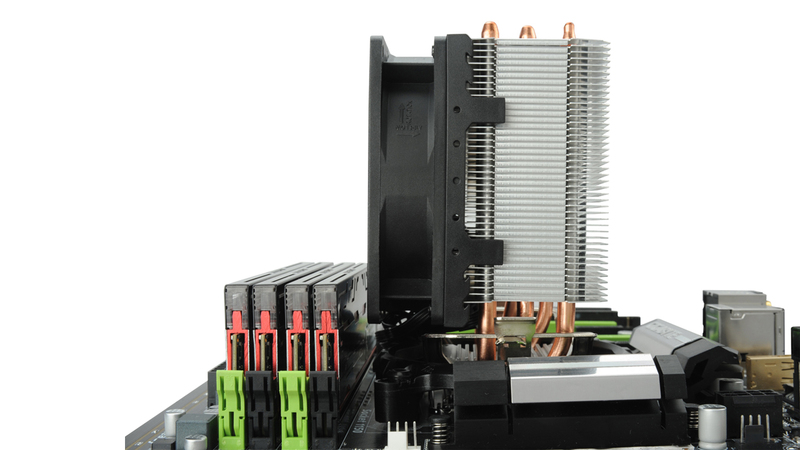 The heat pipes are arranged in an asymmetric way, so that the cooler does not interfere with RAM modules. Small spoilers at the fins lead the air stream close along the heat pipes and cool them more efficiently. 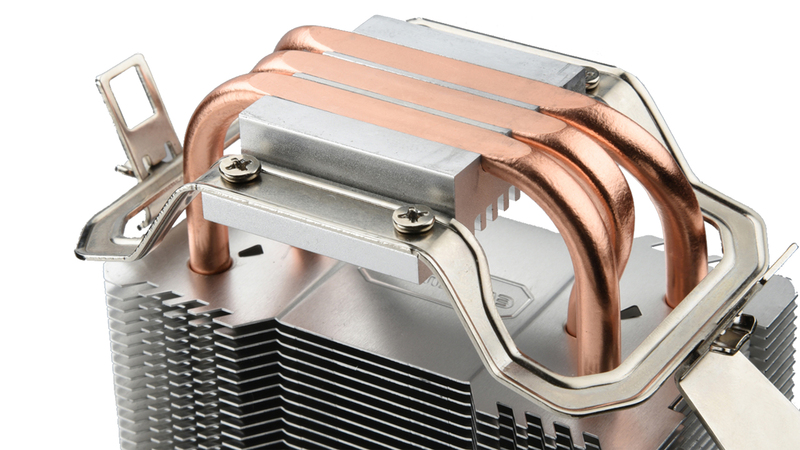 Air vents at the side of the heat sink use the difference in pressure to increase the fresh air supply. 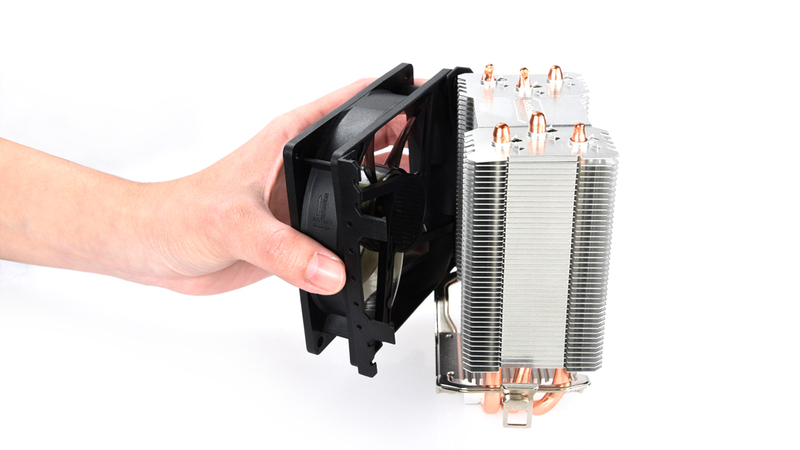 The heat pipes rest directly on the CPU to dissipate heat more effectively with lower thermal resistance. The ETS-N31 enables tool-less and hassle-free installation. The fan can be removed easily for cleaning and maintenance. 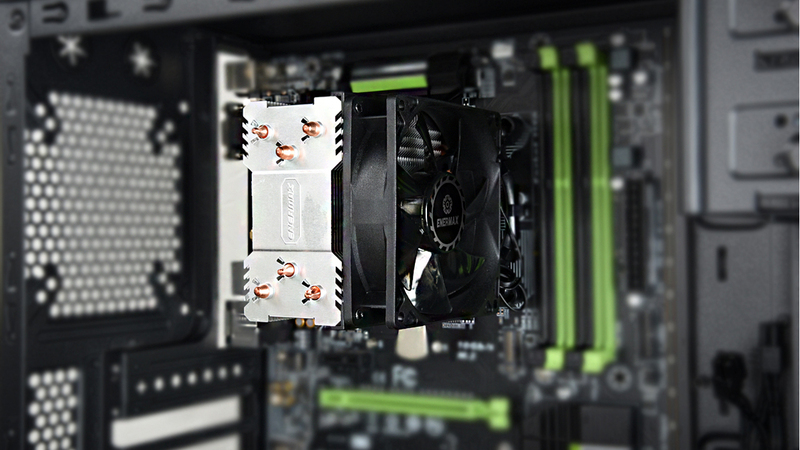 The user-friendly mounting system allows a quick and easy installation from the top for AMD® and Intel® CPU sockets. 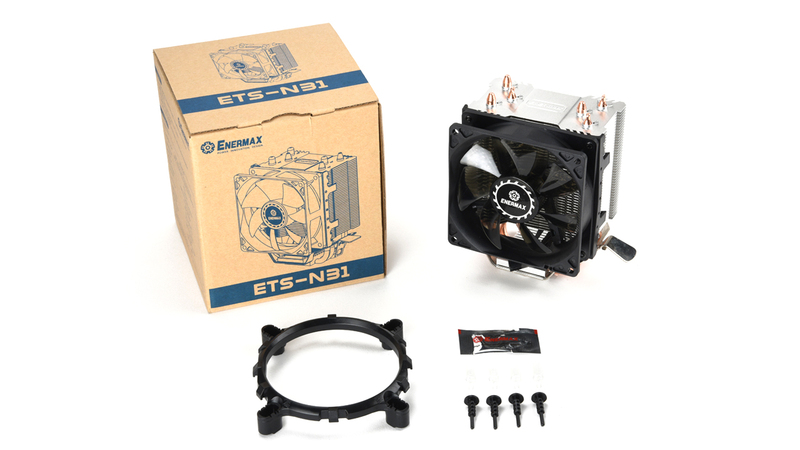 The ETS-N31 is AMD AM4 compatible out of the box.